FREEPORT, Maine (NEWS CENTER) -- If you're looking to snag a pair of L.L. Bean's famous signature Bean boots for the upcoming winter season, you're out of luck. Even in September, L.L. Bean have several thousand pairs of the leather and rubber handmade boots on backorder. And despite Bean hiring 100 additional workers to make the boots, the company says they just can't keep up with the overwhelming demand. YARMOUTH, Maine (NEWS CENTER) - The Yarmouth School Department sent a letter home Wednesday saying a middle school student has been diagnosed with viral meningitis. Andrew Dolloff, Superintendent of Yarmouth schools, said they received confirmation Wednesday morning that a student at Frank H. Harrison Middle School was diagnosed with viral meningitis. Dolloff stressed that The Center for Disease Control says that the disease is often less severe than bacterial meningitis, and most people usually get better on their own without treatment. The Center for Disease Control defines meningitis as an inflammation of the tissue that covers the brain and spinal cord. Viral meningitis is the most common type of meningitis. FREEPORT, Maine (NEWS CENTER) --- Maine State Police say an Eliot man has been charged with domestic violence assault in connection to a woman found alongside 1-295 in Freeport. Police believe 59-year-old Wayne Covington assaulted the woman, who is not being identified at this time, in a car along the interstate. The woman was found lying along the southbound ramp to the Desert Road exit in Freeport at about 1 a.m. on Wednesday, police say. According to police the woman from Kittery had an eye injury and was treated at Mercy Hospital in Portland. Covington was taken to the Cumberland County Jail in Portland. FREEPORT, Maine (NEWS CENTER) -- L.L. 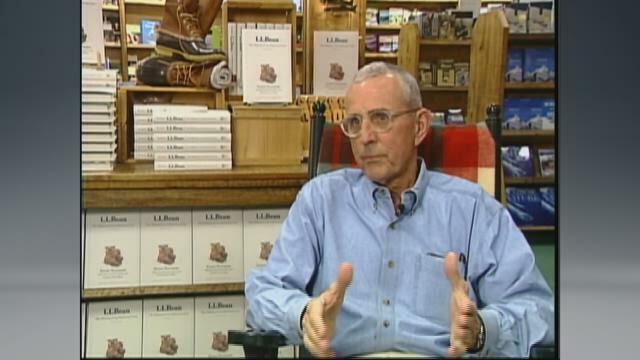 Bean stores in Freeport are going to close September 13 for the memorial service for Leon Gorman, former President and Chairman of L. L. Bean and grandson of the founder. Gorman is credited with growing the company from a regionally recognized brand to an international leader in retail and online sales. Spokeswoman Carolyn Beem says the Freeport store was closed voluntarily only twice before, for the deaths of L.L. Bean and President John F. Kennedy. The stores also closed a few other times, once because of blue laws and another time for a fire. FREEPORT, Maine(NEWS CENTER) -- More than a hundred members of the American Homebrewers Association gathered for a rally at the Maine Beer Company brewery Wednesday night. The rally is a place for brewers to talk all things beer and get tips for their own brews. "You can take a basic recipe and tweak things, even just a little bit, and make it a completely different beer," Bob Gillis said. Charlie Papazian, known as the "Father of Homebrewing," was at the event. He called Maine "a treasure chest of breweries." One of the biggest brewing enthusiasts has never even tasted beer. Logan McBride, who just started 7th grade, said he loves science, especially chemistry. FREEPORT, Maine (NEWS CENTER) -- The 10th annual Paws for a Cause was held at L.L. Bean on Saturday. The 5k race and one-mile walk and parade is hosted by the Coastal Humane Society, and is part of the store's Dog Days of August festival. The event is the society's biggest fundraiser of the year and all proceeds from the race go directly toward the non-profit. That money helps cover costs of things like food, veterinary care, and exams for the 25-hundred animals that go through the shelter every year. The society said Paws for a Cause helps bring awareness to the animal shelter. The Coastal Humane Society also said it has a surplus of cats right now. FREEPORT, Maine (NEWS CENTER) -- Police are searching for an armed suspect in connection with a bank robbery Friday afternoon. The male suspect entered Key Bank in Freeport, displayed a weapon and demanded cash, Brunswick Police said. Officials said the suspect fled the bank with an undisclosed amount of cash in a silver SUV. The vehicle had been reported stolen in Portland earlier in the day and was found abandoned in Yarmouth, where it was processed for evidence by the Portland Police Department. Freeport Police describe the suspect as slender built, black male, approximately 6-feet tall. Maine State Police, Yarmouth and Cumberland Police Departments, and the Brunswick Police Department are continuing to assist in the investigation. Anyone with information can contact the Freeport Police Department.